Hosts should be comfortable delivering play-by-play commentary, conducting on-camera interviews with athletes and interacting directly with families and fans during live events. 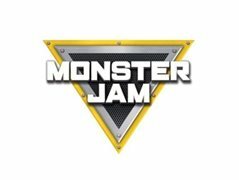 The live hosts also have the opportunity to potentially appear on the television broadcasts of Monster Jam events. Feld Entertainment® is seeking male and female Hosts / Emcees with a youthful, athletic appearance and an engaging personality for our 2019/2020 Monster Jam® tours. Rehearsals will take place in the fall of 2019, and the tours will run from early January through late May 2020.